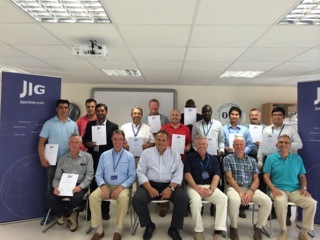 JIG launched their first “Training to Inspect to JIG Standards” course for JIG members last week at the OFC training facility in Athens, Greece. The temperature was hot as was the quality of the participants, who came from all over the world including Saudi Arabia, New Zealand, Indonesia and Senegal, to name but a few. 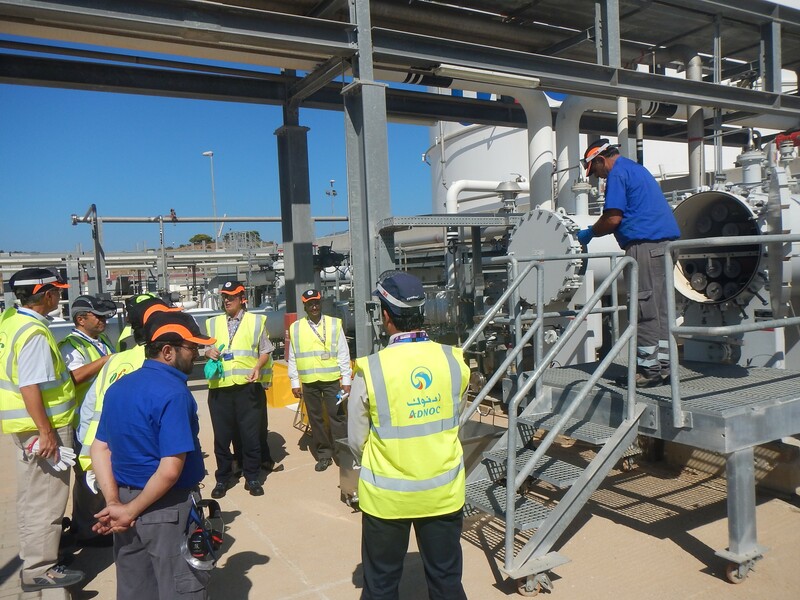 The course covered the odyssey of an Inspection from preparation to report writing, with an equal mix of classroom work and practical sessions on the elements of an inspection to JIG Standards. A special mention to the hosts at OFC, particularly Nikos Kontaxis (Chief Executive Officer), Kyriakos Gennadis (Operations Manager) and Nancy Angelaki who not only provided an excellent facility but were wonderfully generous with their time and hospitality which made the event seamless. Equally, our thanks to the staff at SAFCo who made the sessions on the apron safe and informative. The course was developed by JIG, overseen by the JIG Operations Committee, with input from a number of Industry experts. The trainers in Athens were Chris Jones and Anthony Kitson-Smith, who had been a major part of the developing the material, and led the sessions with a mix of learning from their vast experience, and facilitating some wide ranging and knowledgeable questions from the group. 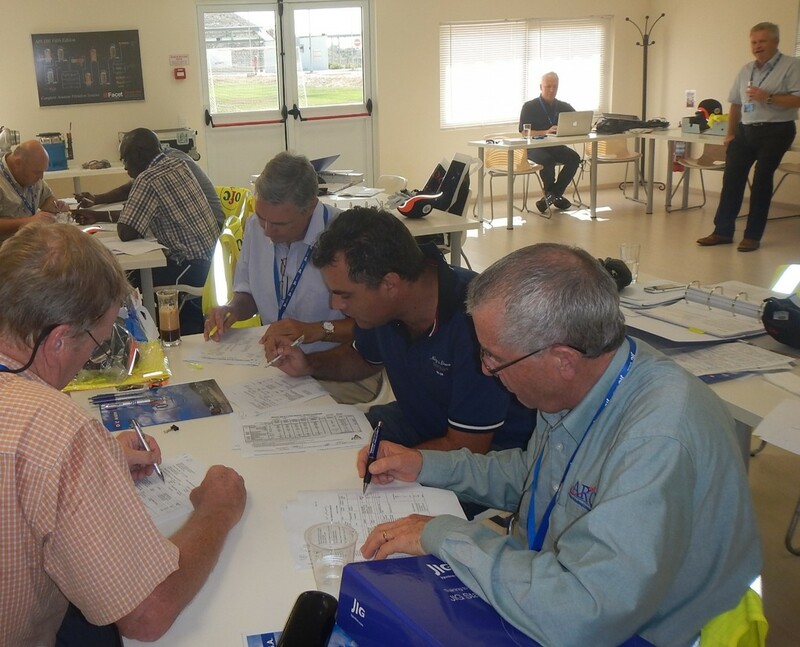 All participants had to sit a tough exam at the end of the course which involved a multiple choice element and working with scenarios around Inspection recommendations. It is fair to say that everyone found the exam hard but it covered all the elements of the course and we were delighted that all passed. This is a testament to their knowledge and the strict entry requirements to the course, which meant that the ones that were selected for the course could ‘take the heat’- it was 38 degrees!! JIG are hoping to be able to announce further courses soon. They will be held in parts of the world which we think reflect the demand that we have seen so far from members. We have set the bar high with Athens and recognise the Olympic spirit of the first successful participants in the marathon of “Training to Inspect to JIG Standards”.